Have a headache? We can help! Have frequent debilitating headaches? We've got the info you need. Here, real people are sharing their personal experience with headaches, along with tips & advice for alleviating headaches naturally -- as well as professionally. If it involves getting headaches or treating headaches, we're talking about it here. Wondering how to clear a clogged ear? Good news… it can be done naturally! I’ve tried these home remedies for clogged ears with great results. Here are 8 natural ways to relieve the pain and unclog ears yourself. There are a lot of popular hangover myths out there. Unfortunately, most of them are dead wrong! Following are some solid tips for curing your hangover, plus some things you can do to prevent a hangover from occurring in the first place. A few important facts about hangovers, followed by some of most popular myths about hangovers… Let’s separate fact from fiction when it comes to hangover cures. 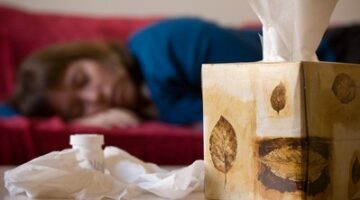 Cold vs Flu: What’s The Difference? Check out these 5 natural remedies for the common cold: onions, zinc, cayenne pepper, cinnamon, and garlic. Here’s how and why each works to prevent colds and heal your body faster after you have a cold. Here’s how to tell if you’ve been bitten by a black widow spider and how to treat the spider bite if you have. Be sure to look for the classic red hourglass shape on the spider’s body. After being diagnosed with Lyme Disease, my symptoms went away for 1 year and then returned with a vengeance. See the meds my doctor prescribed right away, what my first official round of Lyme Disease treatment was like, and how my Lyme Disease symptoms changed after beginning treatment for Lyme Disease.